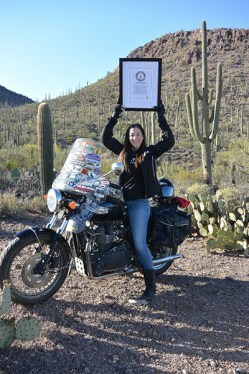 Danell Lynn hoists her GWR certificate while seated on her bike, Amelia. 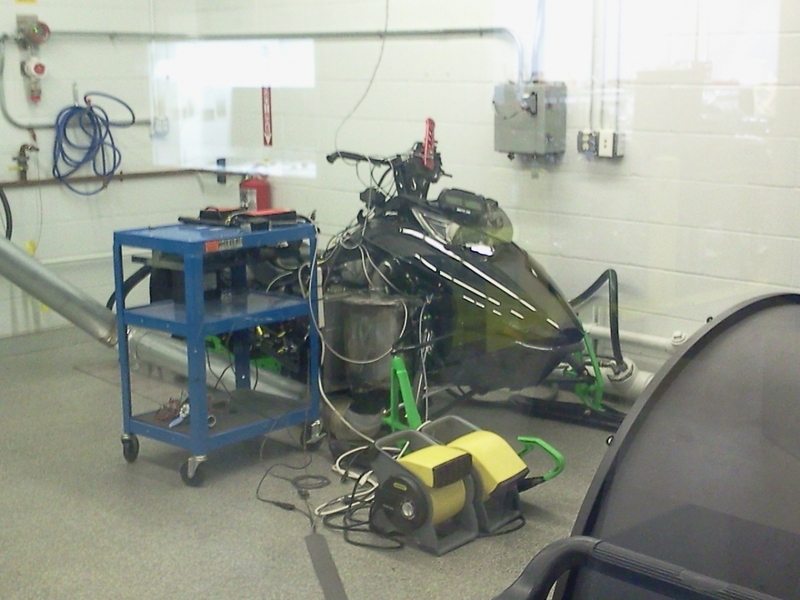 A few weeks back I heard an exciting story about a woman who set a Guinness World Record on her motorcycle. 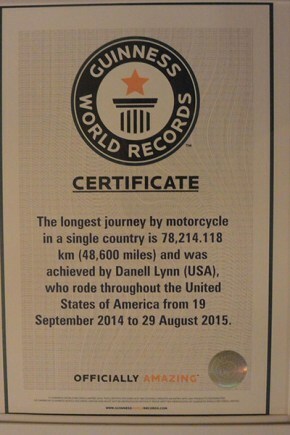 The official designation was as follows: The longest journey by motorcycle in a single country is 78,214.118 km (48,600 miles) and was achieved by Danell Lynn (USA), who rode throughout the United States of America from 19 September 2014 to 29 August 2015. 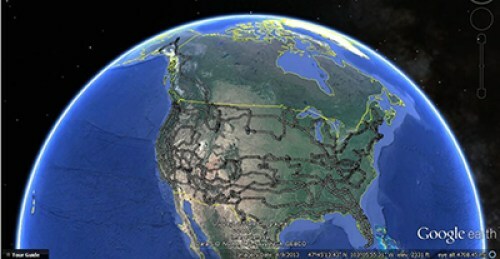 During this journey, Danell rode through all 48 of the continental United States. 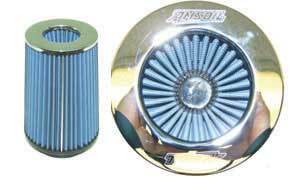 When I learned she was an AMSOIL user, it only seemed natural to reach out and hear more. Her awards are too numerous to list in this brief introduction, so I encourage you to visit her website. AMSOIL: How long have you been riding a motorcycle? And what was your first bike? Danell Lynn: I was first on a bike in utero riding along with my mom and dad. But then we did not have bikes for many years and about 15 years ago I got into pillion riding again and then about six or seven years ago decided I wanted to drive and take journeys on my own! When I bought my first bike I wanted to purchase a Bonneville, but was told from all my family of riders that you do not start with your dream bike because you will drop it – you will go down – which I have learned even after 50,000+ miles. Sometimes you still just drop it! I had three drops (tip-overs) during my year on the road. So I bought a great starter for just $1,200 and learned my wrenching and riding skills on that 1982 Virago and then bought my dream bike – the bike I would take for a year on the road – my Triumph Bonneville. On the rim of the Arctic Circle, Danell stands at the top of the world. 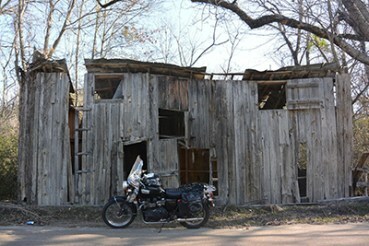 AMSOIL: Tell us about your motorcycle travel experience. DL: Pre-trip I had ridden in Costa Rica, Cuba and the U.S. (Arizona, California, Utah and Colorado) as a solo rider. Pillion motorcycle trips included Chile and Argentina. Post-trip, I now have all 50 states and three provinces in Canada solo-riding added to the roster. During the journey I also took a pause to do a dirt bike documentary in Cambodia. AMSOIL: Overseas, too? Tell us about your travel abroad. DL: Most of my life I have traveled and, at 34-years-old, I have traveled to over 45 countries. I spent part of my youth growing up in England and traveling through lots of Europe, but even as a child in the U.S. we traveled every summer break. 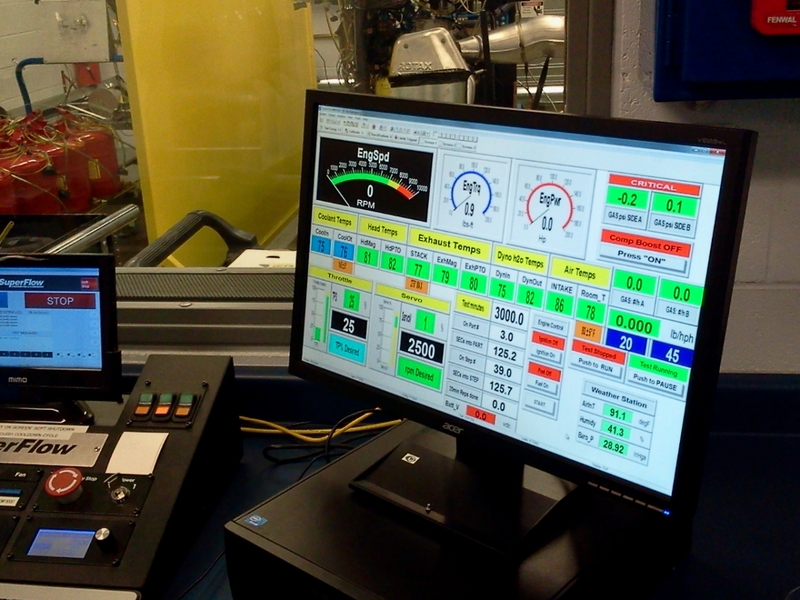 Capable mechanical skills are useful while on the road. 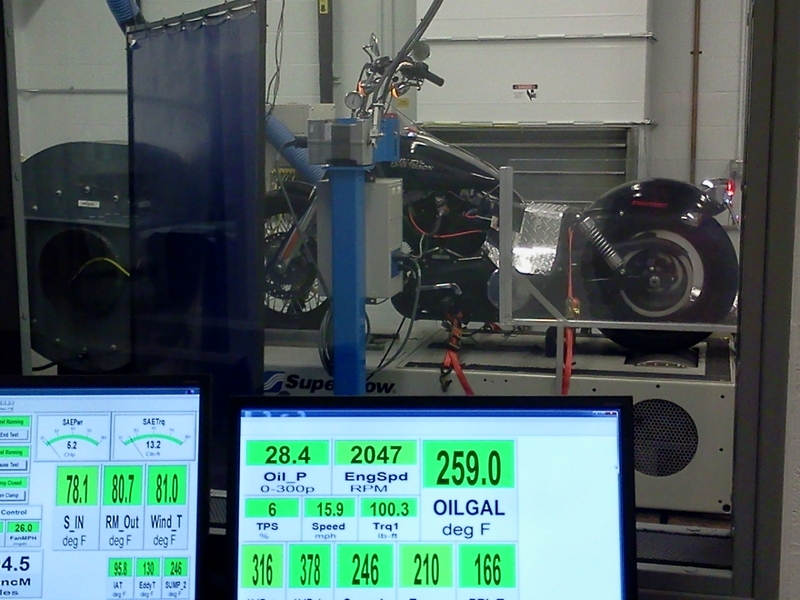 AMSOIL: With what kind of bike did you set the Guinness world record? DL: When selecting my choice bike for such a trip, I simply went to where my heart was and selected a 2006 Triumph Bonneville, named her “Amelia” and took off to ride around my native country and into Canada, ensuring a great experience and adventure! 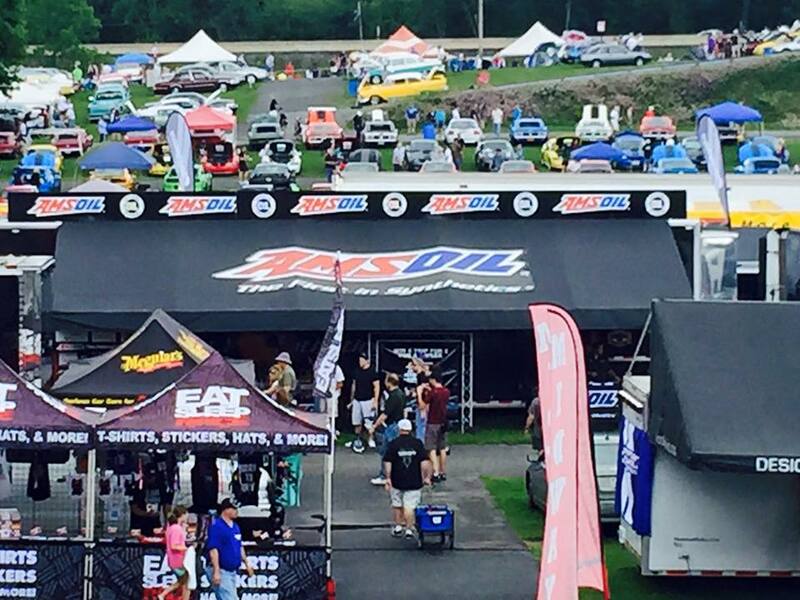 AMSOIL: What do you like about long-haul riding? DL: I always struggled as a commuter rider. I always want to keep going by the time I reach work. Although I completed a couple different Iron Butts along my journey I am not sure I love that type of push ride as much as I do just riding the open road. I have always enjoyed a good road trip no matter if it’s on four wheels or two. Travel and long haul, I guess one could say I was born into the life of wanderlust. Map showing Danell Lynn’s travels across the continent. There is something to be said for the openness of a motorcycle. Not just to nature, but society in general. When you remove the windows and doors you experience the journey at an entirely new level. AMSOIL: It’s very unusual to do such a long journey by yourself. Did you ever feel like giving up? What was the low point? The high point? DL: People often ask for my worst experience, or scariest time on this journey, and I really don’t have one. If the weather was bad and re-routed me it always led to a unique experience I would not have had otherwise. My biggest lows were at the start of the trip. In the first two days I had a swarm of emotions from wondering “what the hell am I doing,” to the thrill of taking off on an adventure, to body aches and pains and forgetting my backpack at a gas station on day two with my wallet, camera and all the important stuff for the trip! (I did go back and recover it.) It was a whirlwind that put me in tears at my second stop, breaking down into the arms of a friend. As she let me cry, I worked through the bag setup and got rid of the backpack, putting all necessary stuff right on the bike and my water pack directly into my jacket, which helped get rid of my back pain. A good cry, a deep breath, a hug of hope and I was off again. This was the closest I got to giving up, but I never doubted that I would complete it – just the momentary breakdowns that you rise from stronger. I guess the biggest danger I faced was before I threw my leg over the bike on day one. I was more fearful of not going than anything that might occur out on the road. Before I departed I wrote a blog on that exact subject: I am scared of living the typical nine-to-five life because it is what you are supposed to do! I fear the monotony of routines to just get the j.o.b. done. I am scared to not live life to the fullest! Everyone’s life to the fullest is different. For me, if I ask myself, “Will I regret not going?” the answer is always ‘yes,’ so I always must go! I don’t believe in regrets, and I do believe in trusting your gut. If I feel nervous fear (this is the good fear – fight or flight), then I walk away from situations. If I go to camp and the woods in that spot are creeping me out, then I drive on until the next great spot. On day two it was fitting to pass through Why, Ariz., but then continuing my days on through Nice, Calif., New Hope, Ariz., Many, La., and Goodnight, Texas and seeing the signs for cities like Whynot, Miss., You Bet, Calif., and Hope, La. one cannot help but pull out the inspiration from the road itself standing behind you and cheering you on! An unexpected shock was the rush of decomposing animal that got stuck inside my helmet with no warning. Often you may catch me dancing a little on the bike as I weave and sing to the tunes playing in my helmet. Usually when I see a dead animal I am able to hold my breath and ride by. But when they are in a gulley or hidden in a bush with no warning and my mouth is open singing – it is always during a deep inhale between verses – the nausea hit and a quick flip of the shield to let the smell out was all I could do. This had been unexpected and quite disgusting every time it occurred. I guess that could be my worst memory, my low point, of the journey. It was within happenstance moments like these that life taught its lessons, unexpected and at times lifesaving, featuring both the low and high points into one. For example, when I crashed at slow speed on the ice, this gave me a chance to meet a driver coming around the corner to warn me about the blind curve ahead that met a steep downward hill with no guardrail and was covered in sheet ice. I would take my mini-crash over the possibilities of that hill any day. Three moments like this occurred during my year and became my most profound, even in their simplicity, because they taught me there is more out there in the universe and it will take care of you if you are open to it! I cannot think of a better word but to say at times this trip was magical in so many ways. AMSOIL: How long have you been using AMSOIL products? How did you first come to choose AMSOIL for your bike and this trip? DL: I had heard of AMSOIL previously, but just ran a non-synthetic in my bikes (I was pretty much was one of those who would buy a good oil, but one on sale for my oil changes), but that all changed during one fateful dealership stop during my first month on the road. It was after a fateful flat tire and a needed stop for service in California. I was chatting about my journey with some of the shop guys and a man approached. This is when I met John Madri, independent AMSOIL Dealer, from Roseville and a new love affair with synthetics began! He happened to be at the shop that day and let the shop know that he was supporting my journey by providing me AMSOIL at my service, and I noticed a difference those first weeks after in the bike and the ride. This was how I chose AMSOIL and Amelia loved it, so we were hooked. She ran smoother, I could go longer between oil changes and could do an oil and chain change at the same time (which makes a huge difference when you are on a long haul). 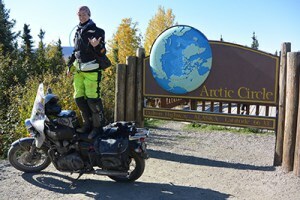 Danell’s record for the Longest Journey by Motorcycle in Single Country surpassed the previous record by nearly 25,000 miles (24,839 to be exact). 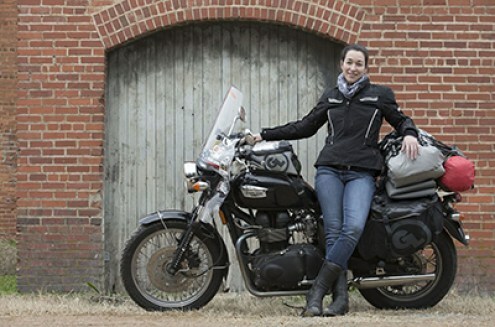 She is the first solo-woman motorcyclist to hold this record. Thank you, Danell, for sharing your story and bringing us along for the ride. If you, too, were born for the open road, AMSOIL has a wide selection of motorcycle products for whatever you ride.